Beautiful South facing one bedroom residence in the prestigious Trump Park Avenue. 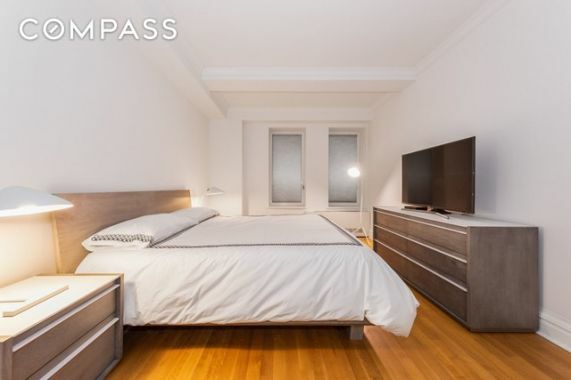 Perfectly located in the sought-after heart of the Upper East Side, this prestigious Park Avenue condominium building is impeccably managed like a hotel. This generous home features elegant finishes fused with classic prewar charm, which include: high beamed ceilings, crown moldings, oak herringbone hardwood floors, and italian brass door knobs. The kitchen is outfitted with statuary white marble countertops and stainless-steel GE Profile appliances, and the bathroom features marble floors, white wood cabinets and a vanities with inset panels and a deep soaking tub. White Glove hotel amenities include: maid service, full-time doorman and concierge, a resident manager and a fitness center. This prime Park Avenue location doesn't get any better, situated in the heart of Manhattans upscale shopping district and close to everything including Central Park and 5th & Madison Avenues. Pets allowed.